Synopsis: United Nations employee Gerry Lane traverses the world in a race against time to stop the Zombie pandemic that is toppling armies and governments, and threatening to destroy humanity itself. Review: So far 2013 has been a very good year for zombies. With the continued success of The Walking Dead on television, the February release of the surprisingly great “zom-com” Warm Bodies, and now the pulse-quickening epic World War Z…it’s not a bad time to crave brains. 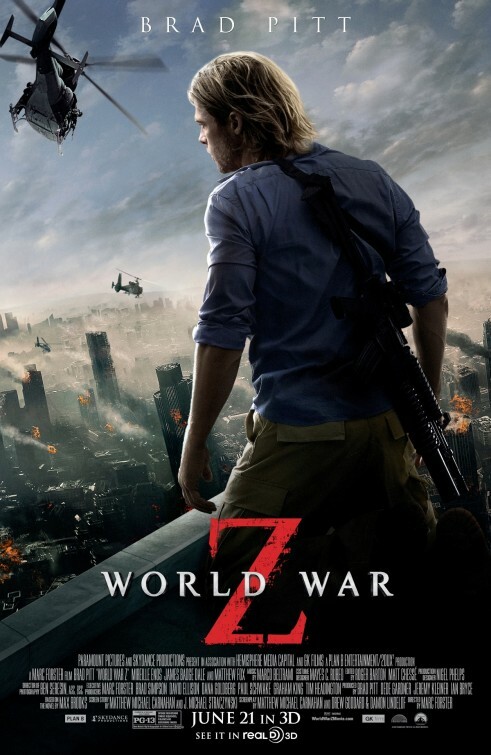 I have to admit that with each new trailer for World War Z I grew less interested…mostly because it seemed like a run-of-the mill summer blockbuster that would open big and disappear within a few weeks. So you can imagine my surprise when ten minutes in I was white knuckling it in my seat, barely able to catch a breath. Many felt that Max Brooks’s 2006 novel, written as an oral history, would have been better suited for a television series/mini-series and not as a multi-million dollar picture starting one of the biggest A-listers out there. Those same people should enjoy a nice meal of their own words because the novel has been brought to life in slick fashion that never feels like its cheating on the source material. The film opens big and for the next two hours rarely lets the audience come up for air as we are taken along for the globe-hopping, zombie killing ride. Pitt (The Counselor) is a retired investigator for the United Nations living a seemingly peaceful life with his wife (Mireille Enos) and two daughters. As they get ready to start their day we can hear in the background news reports of virus outbreaks in other cities but given that it’s not in their neck of the woods the family pays no attention. Soon they are packed up and heading out for their day when traffic jams put them in the center of madness as the entire city population starts to become infected around them. Calling on his old contacts, Pitt eventually gets his family to safety but is then tapped to lead the investigation to find the origin of the outbreak. This takes him away from his loved ones and into a mystery that moves him from one end of the globe to another…this is one guy who has a full passport by the time the credits roll. Part of the fun of the film is following Pitt from as he country hops because you never know who he’ll meet or who will survive. There are plenty of surprises in the movie, not the least is that Pitt is still a proven star who can easily navigate a picture filled with international actors and accents. Thought Pitt is the star of the show, director Marc Foster (bouncing back nicely from the dreary Bond entry Quantum of Solace) spreads the love globally employing many new faces to fill the roles of people Pitt encounters in his journey. Enos is so brilliant on TV in The Killing and though she starts strong her character is unfortunately eventually relegated to shouting Pitt’s name in the phone as the time between their connections grows longer. James Badge Dale is an actor that seems to pop up a lot lately (he’s also in The Lone Ranger) and he’s put to good, albeit brief use, as part of the puzzle Pitt must solve to save the human race. Israeli actress Daniella Kertesz is a force to be reckoned with too as a solider that accompanies Pitt on a most harrowing airline ride. Then there’s the zombies. Not merely brain dead shufflers, these zombies take a page from Danny Boyle’s 2002 zombie classic 28 Days Later… and sprint after their prey. Moving so fast amps up the adrenaline yet it doesn’t overwhelm the bottom line and the film takes care to explain behavior of the zombies/infected in a way that seems fresh and unexpected. Even a sequence set in a sterile lab late in the film has little frenzied action at all and still manages to make the sweat bead up on your forehead. These little character moments (from the living and the infected) do not go unnoticed and that’s what winds up setting World War Z apart from similar films. It’s a brisk popcorn adventure that keeps trucking along with such expediency that you’ll probably be a little exhausted by the time the lights come up. Yet even with its fast pace I left feeling that the movie had earned its quieter moments and called upon its actors in the right way to give solid performances. 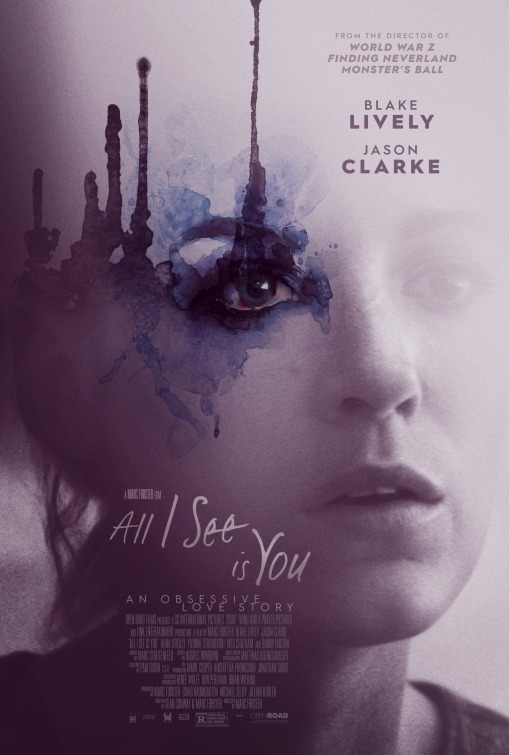 One of the best films of the summer, it’s a movie that I feel will warrant repeated viewings alongside other zombie classics that came before it. Synopsis: A U.N. employee is racing against time and fate, as he travels the world trying to stop the outbreak of a deadly Zombie pandemic. 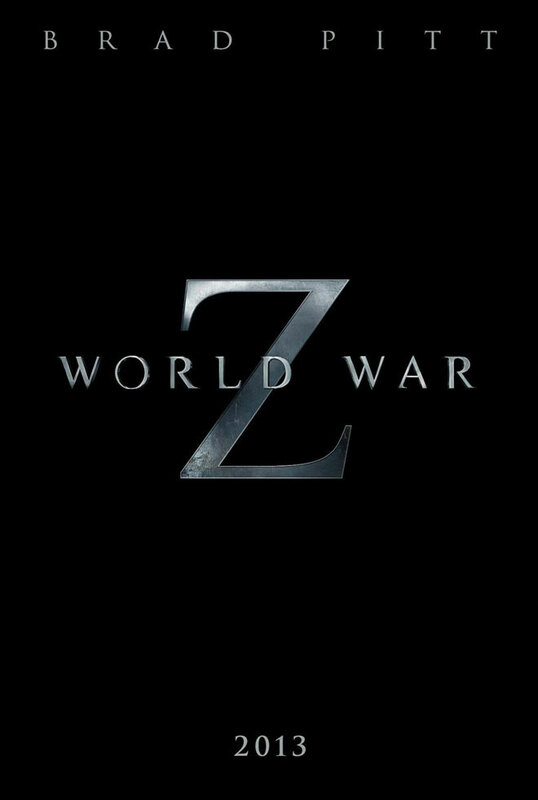 Thoughts: Though not arriving until June of 2013, World War Z’s first trailer presents a fairly detailed description of the zombie apocalypse epic we’ll be lining up for next summer. Helmed by Marc Forster (who might be done nursing his wounds from Quantum of Solace) and starring top tier A-Lister Brad Pitt, I found myself enjoying the trailer but getting the churning feeling like we’ve seen this all before in Independence Day and I Am Legend. Why not just replace Pitt with Will Smith and call it a day? I’m a bit zombie-d and end of the world-ed out so forgive me if I say I’ll for sure see this but I won’t be counting down the days. Synopsis: Seeking revenge for the death of his love, secret agent James Bond sets out to stop an environmentalist from taking control of a country’s valuable resource. Review: Into every franchise a little rain must fall and though Quantum of Solace isn’t a fully fledged thunderstorm, it still leaves you feeling a little sad after the blue skies of Casino Royale. It’s not as if the players entered into the 22nd Bond film with anything other than noble intentions – there’s a lot of good stuff to be found in the movie but seeing that it’s really a direct sequel to Casino Royale there is a sense of feeling cheated out of the opportunity for a totally new adventure. Though Diamonds Are Forever also carried on a small piece of the story that ended On Her Majesty’s Secret Service, that film at least wrapped things up in its pre-credit prologue. 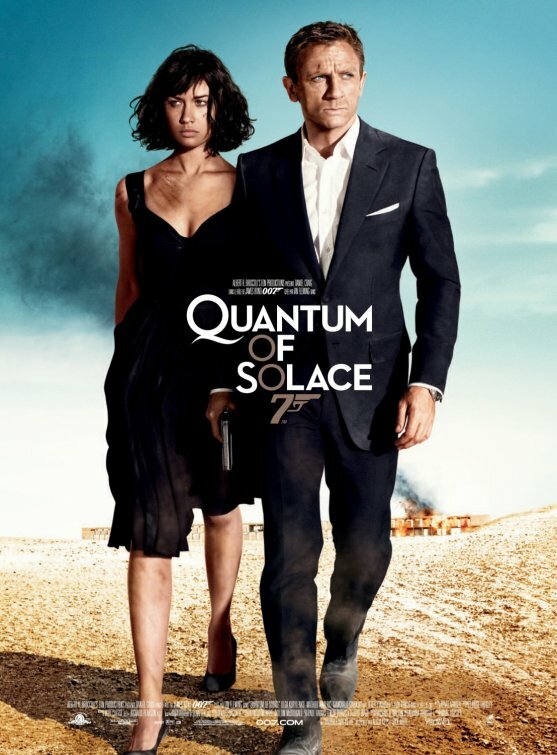 Without spoiling some of the later events that happen in Casino Royale and spill over into this film, Quantum of Solace opens with Bond seeking vengeance with no less passion than he did in Licence to Kill. Determined to find the group responsible for a betrayal that’s hit too close to home, the opening moments of the film are a mountaintop chase delivered with breakneck speed and quick cut editing. The first thing I noticed about this entry was its different filming style that favors the herky jerky hand held camera and flash cuts to its predecessors slow burn sweeping panoramas. Under the direction of Forster (lensing his first true action film) the film enters the race at 99% so there’s not much room for the rest of the movie to keep pace. The opening credits and title song are also slightly disappointing with graphic design studio MK12 taking over for Daniel Kleinman with a mish mash of sand and sun and Jack White’s duet with Alicia Keys sounding slightly off key at time. Off key is maybe the best way to describe the movie because everything just seems slightly askew or off the mark…something that grows more frustrating as the film goes on. 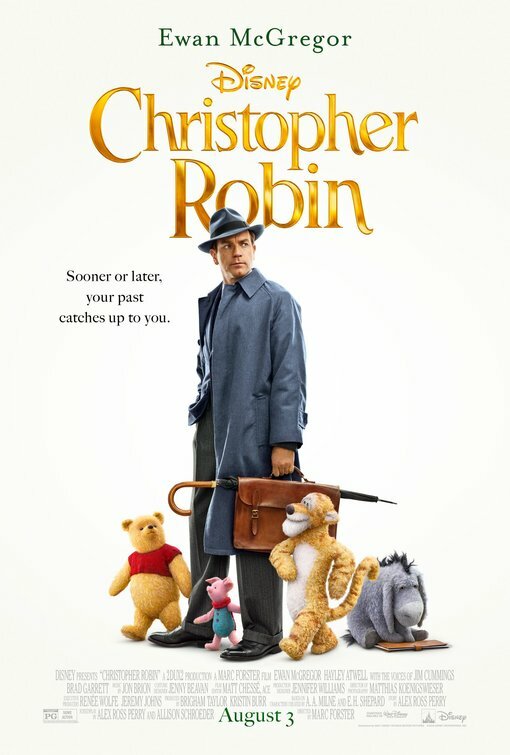 At 106 minutes, it’s the shortest Bond film which is probably a good thing considering that it may also be its slowest. Yes, there are some dynamic action sequences on land and sea but nothing ever takes flight like I think it could have with a better script and stronger direction. It’s no fault of the actors on board that the movie drags and I was more sympathetic to Craig in this film than I was in the previous entry. Here he’s a haunted man that masks his pain with his determined hunt for retribution. If he was a loose cannon in Casino Royale here he’s as wild animal as he goes above and beyond his call of duty to get the answers he’s looking for. More depth is given to Dench in this film as well as she achieves duality in her role as Bond’s superior and also an unwitting mother. Craig and Dench take the roles deeper than one would normally feel is required but the end result are stronger performances because of it. Dench may be the biggest Bond girl of them all when you really think about it. The real Bond girl here is Kurylenko that gives off a Catherine Zeta-Jones vibe and not much more. A character with motivations that I feel we’ve seen before (in For Your Eyes Only, for example), she’s also out for vengeance that may align with Bond’s. Frenchman Amalric is one of the slighter villains in these films but what he lacks in his physical presence he makes up for in his maniacal plans to steal a valuable natural resource. I’ve seen the film four times now and I should freely admit that I’ve fallen asleep each time at some point. I’m usually a pretty alert moviegoer and it’s not that the film lacks for loud action scenes…but around the 60 minute mark my eyelids get droopy. That being said, watching the film back-to-back with Casino Royale is probably the way to go as both films are really all part of the same story.